Prenatal Yoga is an excellent practice to help keep yourself strong and de-stressed throughout the turbulent times of pregnancy. Universally recommended by doctors and other maternity care providers, prenatal yoga helps to arm you with tools to help you to relax, strengthen and tone abdominal and pelvic floor muscles, and breathe through discomfort and challenge. 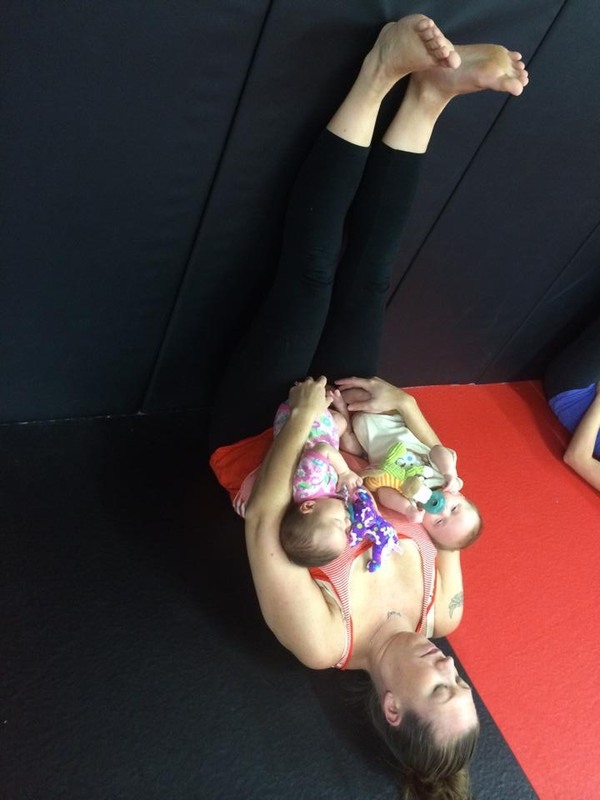 Postnatal Yoga, with or without your new baby (my lovely sister is pictured with her two beautiful twins, Atlas and Zoe, in Legs up the Wall pose) is a great way to reconnect with your new body, your new baby, and to rebuild and re-condition your abdominal and pelvic floor muscles. Email me at yoginiannie@gmail.com for a private class, or visit Karma Kids Yoga or The Giving Tree Yoga Studio for yoga in a studio setting. I started taking prenatal yoga at Karma Kids Yoga with Annie at the start of my second trimester and loved it. It was such a great mix of relaxation and challenging poses and I continued with it right until I gave birth. Annie's focus on ab strength was exceptionally helpful. Right after I gave birth, my midwife commented that I had a large four finger separation in my abs (diastasis recti) and I would need to work really hard to repair them. I was really bummed. When I told Annie, she suggested I keep doing the simple ab work we had done in class. I did them religiously (sitting on the couch) and at my 6 week postpartum check up, my abs had no separation whatsoever. My midwife was shocked and said, "If your abs are this strong now, what were they like before you got pregnant???" Honestly, before I got pregnant, I barely worked out and had pretty wimpy abs. I'm so thankful to Annie and Karma Kids Yoga for helping me build strength through my pregnancy that served me during my daughter's delivery and my recovery! Can't wait to bring her to Mommy and Me classes soon!